Alexander Pfaff, Ph.D., is Associate Professor of Public Policy, Economics and Environment and an environmental-and-natural-resources economist focused upon how economic development and the environment & natural resources affect each other. 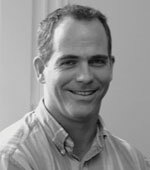 His research examines: impacts on deforestation of roads, protected areas and ecopayments (Brazil’s Amazon, Costa Rica, Bolivia, Peru, Mexico and US); influences on harmful exposures (stove emissions in China and Pakistan, drinking arsenic in Bangladesh); responses to climate and water shocks in production and bargaining under water policies (Brazil’s NE and Colombia); and how U.S. regulators might shift the incentives for firms to audit and provide information. This applied research aims to raise the chance that interventions have their intended impacts upon the environment and natural resources while benefiting all the people and groups they are designed to help.